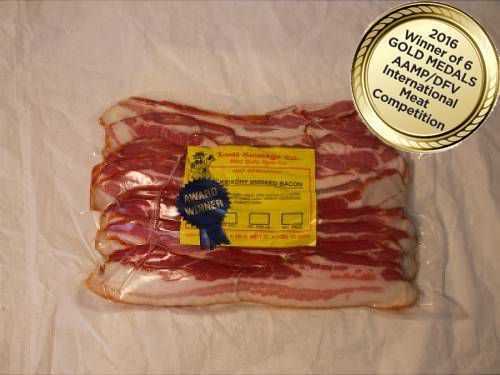 Ranked #1 Bacon at WI State Fair 2011-2012. Made in small batches weekly to ensure freshness. Sliced in thicker strips, our lean bacon doesn't shrink much like others. You will be impressed with the great taste.